What’s your prayer life like? Would you like to improve it? How can we examine our current prayers and make them more effective and pleasing to God? How would you plot a graph of your prayer life? Would there be peaks and valleys representing times when you pray more or less than other times? Would there be peaks and valleys representing times when your prayers are more or less fervent than other times? Looking at trends like these from time to time can help us keep an honest perspective of ourselves. It doesn’t take a graphing calculator to perform this analysis. You may find, though, that keeping a few “variables” and “constants” in mind will help. The goal is to understand something about ourselves. As we go along, though, we will also understand something more about God. Looking at trends over time can help us understand not only what is changing but why. When analyzing your prayer life, three variables can be very revealing: frequency, duration and fervency. Many people ask a blessing over their meals. This is a good practice, but does this routine alone constitute a healthy prayer life? The Bible tells us that the prophet Daniel had a custom of praying three times per day. “He knelt down on his knees three times that day, and prayed and gave thanks before his God, as was his custom since early days” (Daniel 6:10). From the context, it is clear Daniel did more than simply ask a blessing over his meals three times a day. He took time on his knees to give thanks to God and to ask God for deliverance. Daniel lived in captivity, yet he continued praying to God despite the threat of an edict issued by King Darius. A large body of the king’s administrators, governors and advisers specifically crafted the statute in order to frame Daniel. Though this law of the land conflicted directly with Daniel’s worship of God, he kept praying. Despite the potential consequences, he sought to obey God and maintain his prayer life. He did not cease praying three times a day. We live in a vastly different world than that of Daniel. You may wonder how you can make time for prayer in your busy life. You may contemplate where prayer fits into the balance of your work and family schedule. If these questions sound familiar, then you probably find it difficult to slow down for long, no matter what the reason. If this becomes the norm, you may find that your relationship with God stagnates and begins to slip. You may find that almost everything else takes priority over prayer. You may see praying often as almost impossible. If so, then take heed. Without noting any exceptions, Jesus exhorted His disciples to set aside time for prayer. “But you, when you pray, go into your room, and when you have shut your door, pray to your Father who is in the secret place; and your Father who sees in secret will reward you openly” (Matthew 6:6). When you make the decision to find a place to pray that is private and free from interruption, you are demonstrating to God that you value the time that you spend before His throne. You are making an investment in your relationship with God. When you do this on a frequent basis, you increase your opportunities to acknowledge God as your Creator and Sustainer. You also increase your opportunities to lift up your concerns and needs to Him. Regular, frequent prayer reinforces your relationship with God and keeps you from losing focus on doing His will. For more on this topic, please see our study guide How to Pray, which includes an explanation of what the apostle Paul means when he says to pray without ceasing (1 Thessalonians 5:17). How long is your average prayer? Once you begin setting aside time for prayer on a regular basis, you will probably notice that the duration of your prayers will vary. Some prayers can be as short as a passing thought. Other prayers can be long and mixed with heartfelt meditation. In both cases, God will hear you, but a healthy prayer life includes setting aside adequate time to spend on your knees in prayer. External factors like being busy all the time or being tired at the end of the day can put pressure on you to shorten your prayers. In order to keep your prayers from becoming too short to be effective, consider what you include in your prayers. What words are you actually saying to God? You may be surprised at what you are actually stating or requesting. Some adults haven’t changed their prayers from what they learned in childhood. Others repeat the same words each time they pray, hardly changing a single word from their scripted prayer. If you are interested in making a change toward more effective prayer, take a moment to consider Jesus’ instruction in Matthew 6. If you are interested in making a change toward more effective prayer, take a moment to consider Jesus’ instruction in Matthew 6. “In this manner, therefore, pray: Our Father in heaven, hallowed be Your name. Your kingdom come. Your will be done on earth as it is in heaven. Give us this day our daily bread. And forgive us our debts, as we forgive our debtors. And do not lead us into temptation, but deliver us from the evil one. For Yours is the kingdom and the power and the glory forever. Amen” (Matthew 6:9-13). Many know this passage as “The Lord’s Prayer.” It has become common in certain church communities for this prayer to be recited by groups praying together. However, the objective of this instruction was not for Christ’s disciples to simply repeat these words each time they prayed. Verse 9: Jesus says to begin our prayers by addressing God the Father. This is a reminder that God is your Father and Creator. You are, in turn, one of His children, created in His likeness. In saying these words, you acknowledge that the Father cares for you as one of His children. God the Father can be addressed in many other ways, so you don’t always have to begin your prayer with these exact words. Some other ways to address God the Father are “Almighty God in heaven,” “Our Heavenly Father,” “Great God,” “Merciful God,” etc. At this point in your prayer, you are offering praise to God. You can thank God for the many blessings that He has provided you. If nothing else comes to mind, you can thank God for life itself. Verse 11: Our prayer should continue with a humble request for God to provide for our physical needs. It should be noted that not everything that we want is something that we also need. God knows what we need and when we need it. Waiting for God to provide even the simplest needs is part of submitting to His will. The other focus of verse 12 is sins that have been committed against us. Neighbors, friends, family members and even strangers can sin against us. Jesus’ instruction implies that we are to forgive others just as God forgives us. This message of forgiveness resonates throughout His earthly ministry. Our prayer time should be a time to bring all of these things before God, including both areas where we have fallen short and areas where others have offended or hurt us. Verse 13: Jesus reminds us that all are subject to temptation. Therefore, all need to be delivered from Satan and his evil plotting, which tries to pull us away from God. The last statement is one of reassurance, faith and focus on the coming Kingdom of God. As we close our prayer, we look to the days ahead with a fresh reminder of God’s plan to bring about an age of peace. In expanding on each element of the model prayer, filling in the details from your life, you will have a longer and, more importantly, a more effective prayer. Jesus Christ doesn’t lay down a rule for the minimum duration of a prayer. However, He does set a standard for the essential elements of prayer. Therefore what should really impact the duration of our prayers is what we choose to bring before God in prayer. Fervency is the intensity of a prayer. An important driver of fervent prayer is faith, including faith in God to answer your prayer. The epistle of James helps us to understand the relationship between a prayer’s fervency and its effectiveness. “But let him ask in faith, with no doubting, for he who doubts is like a wave of the sea driven and tossed by the wind. For let not that man suppose that he will receive anything from the Lord; he is a double-minded man, unstable in all his ways” (James 1:6-8). A fervent prayer comes from the heart, trusting in the ability of God to hear and respond. In a later passage that focuses on the gift of healing, James reassures us that the fervent prayer of a righteous man is worthwhile. “Confess your trespasses to one another, and pray for one another, that you may be healed. The effective, fervent prayer of a righteous man avails much” (James 5:16). Notice that James encourages everyone to pray for one another. It is important to remember that prayer teaches us to love others and to consider their needs. When people pray for one another in faith, they can benefit from a stronger bond of friendship and fellowship. In spite of all of the ups and downs that can take place in our prayer life, God never changes (Malachi 3:6). His power and love are constant and eternal. He is the source of every good and perfect gift. Prayer allows you to acknowledge and give thanks to God for loving you and providing for your needs. “Every good gift and every perfect gift is from above, and comes down from the Father of lights, with whom there is no variation or shadow of turning” (James 1:17). “God, who made the world and everything in it, since He is Lord of heaven and earth, does not dwell in temples made with hands. Nor is He worshiped with men’s hands, as though He needed anything, since He gives to all life, breath, and all things” (Acts 17:24-25). There is no variation in man’s constant need for God to supply every good and perfect gift, every breath. The more you set your mind on God and the many blessings He supplies, the more you will desire to put aside other things to spend time in prayer. Have you ever analyzed your prayer life? How did you do it? By analyzing trends in prayer frequency, duration and fervency, you may have a better picture of your own prayer life. Ultimately, God wants to have a close relationship with each and every one of His children. He is an awesome and loving God who will never leave us or forsake us. His love and power are constant and eternal. Prayer is a powerful tool that God has given you for developing a relationship with Him. For more on this important subject, download our study guide How to Pray. Should You Pray to Mary? 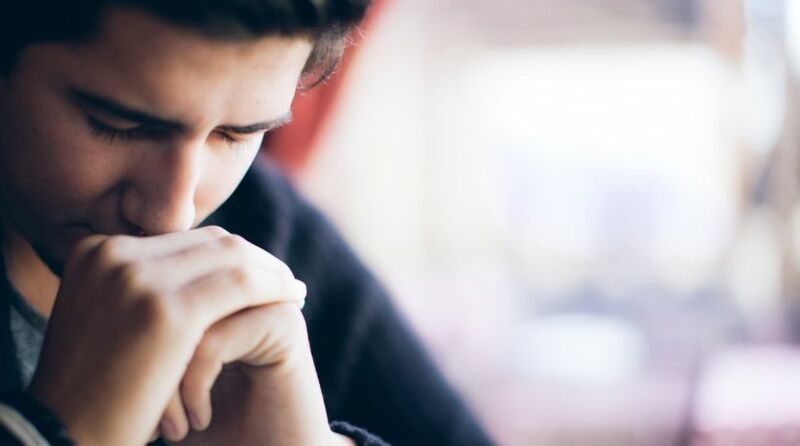 Why Pray “Thy Kingdom Come”?